In 2012, Staffordshire were dealing with changing demographics, customer habits/expectations and local authority landscape with enormous budget pressures. Having changed aspects of the library service and saved £1.1 million between 2008 and 2012 without closing libraries or ‘hollowing out’ the service, there was still a requirement to save £1.675 million by 2016. In response to budget pressures, many authorities were closing libraries. Staffordshire wanted to do everything they could to sustain their library service. Taking an ambitious approach to transforming their service Staffordshire designed, developed and implemented a new model following extensive public consultation. Traditionally all 43 libraries were managed by the county council and staffed by paid members of staff. Their ambition was to develop a sustainable library offer where all libraries remained part of the statutory service with the community encouraged to become more involved in co-producing services that are relevant to local need. It was clear from the outset that Staffordshire needed to approach its transformation in a collaborative, creative and innovative way. To continue to deliver their outcomes and make a difference in communities, then Staffordshire needed to challenge previous ideas, think holistically and engage all stakeholders so that libraries could be part of the solution and not part of the problem. They were clear throughout the transformation that all of the libraries would change as a result of this process. To develop a new delivery model, Staffordshire knew that they would need to involve communities in re-designing the service from the outset. When transformation began in 2012, the concept of supporting communities to manage and deliver their local library service was initially hard to grasp for both staff and stakeholders. To minimise the risk of low levels of engagement and alienation of stakeholders during the transformation through a lack of understanding, they recognised that a thorough consultation was essential. The first engagement phase began in February 2014 with users, partners and stakeholders and raised awareness that libraries needed to change to better serve their communities. The aim was to work with communities to understand what people needed and wanted from the library service in the future to ensure that it remained relevant and valued. The findings from this contributed to the development of initial proposals which were then subject to formal public consultation later in 2014. The public consultation was planned with support from Staffordshire County Council’s customer insight and engagement team and communications and marketing team. This was to ensure that internal and external communication processes were effective in ensuring that stakeholder groups and the wider Staffordshire population was engaged in a two-way communication process. The consultation provided meaningful mechanisms for individuals, communities, partners, interested organisations and other stakeholders to consider and comment on the proposals prior to any decisions being made. A consultation plan was developed in line with corporate and national guidance and took into account good practice in running similar large scale consultations. Summary fact sheets were also made available for each local library providing information on the range of services currently on offer in individual libraries; insight into trends in usage and current costs. In addition, information was made available on alternative models and how communities in other parts of the country were helping to deliver the service. All consultation materials were made available on the county council’s website as well as in hard copy in libraries and via the mobile library service. This helped to facilitate an informed response from the public and stakeholders to the consultation. The full libraries public consultation took place between 16 July and 7 October 2014. The approach undertaken was based on a consultation plan which targeted different interest groups in a variety of ways in order to secure maximum involvement. This approach delivered successful results, with 4,255 responses to the survey and nearly 3,500 also engaging in organised public events. In addition, feedback was received via letters, emails, social media, petitions and a young people’s survey. A full analysis and report of the consultation was undertaken by the council’s customer insight team to ensure independence was built into the process. Findings from the consultation also fed into the Community Impact Assessment to ensure the council had a full understanding of the impact and how it could be mitigated before final decisions were made. Alongside the 12 week public consultation, staff and their trade union representative’s were given opportunities to put forward their ideas and proposals either individually or collectively within a structured, time limited process. This was aided by a package of support and a bespoke organisational development programme to ensure understanding, employee resilience and an increased appetite for change. Many of the ideas and proposals received from our staff through this process were detailed and high quality - over 80 ideas/suggestions were received and considered. Staff-led task and finish groups were established to evaluate and progress the most promising ideas. This empowered staff to take ownership of the future of their service and increased advocacy of the results through peer to peer review - shifting their relationship from one where staff are “done to” to one where we “do things together”. The public and collective consultations provided a meaningful mechanism for individuals, employees, communities, partners, interested organisations and other key stakeholders to consider and comment on the proposals prior to any decisions being made. They listened to people’s views about the proposed tiered model for the libraries and as a result are implementing a realigned model for the library service to sustain libraries for the future and deliver the required £1.675 million savings. 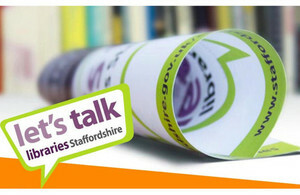 There have been no library closures in Staffordshire. They now have a library service with greater community involvement and have built stronger partnerships with community organisations. Eleven libraries will be managed and delivered by the community by June 2016 and a further 12 by April 2017. A huge part of its success is due to staff and stakeholders coming together to formulate, agree and implement a new model to ensure libraries are sustainable into the future. Staffordshire have encouraged their workforce and citizens to realise the potential of local libraries so that they remain valued and can continue to make a real difference within communities.